PLEASE NOTE: Currently I am only able to accept students who can do a daytime session. All slots suitable for school-age children (15 30 to 20 00/21 00) are booked up and a waiting list is now in place. Music has always been a cornerstone in my life – I began playing the violin a few months before turning 4, and piano lessons followed shortly after. By the age of 12, I had progressed through all of ABRSM’s 8 grades on both instruments and had mastered an extensive repertoire of European and Middle Eastern folk music. It was at this time that I also picked up the guitar. Having no teacher, I turned to jamming along with the radio, learning every song on my favourite stations’ rotations until I could play anything the DJ threw at me. This set me on a path of trying to learn all the things that the grade syllabus didn’t teach – how to explore music for myself, and how to develop my own playing style and personality. Music has taken me to all sorts of places: from playing at the House of Commons to smoky rock bars halfway across Europe. And now, it’s an adventure that I want others to experience too. I have experience teaching people of diverse backgrounds and age groups, all of whom had a variety of different goals. The diverse situations I have found myself in include: brushing up the acoustic guitar skills of gigging singer-songwriters, helping classical musicians adapt their style to fit into a rock/pop band, starting primary school-age children off in their first steps towards music theory and classical piano. When teaching children and teenagers, my foundation is fostering a long-lasting love and enthusiasm for music. Too often I have seen dry, uninspiring teaching that leaves the young pupil resenting the idea of learning an instrument. My aim is to give them a means of expressing and improving themselves that will stay with them long after they have stopped lessons with me. Wherever possible, I do encourage parents to have an active role in the child’s learning. Whether you have any playing ability yourself or not, I believe that you have a part to play in every step of your child’s musical journey. I firmly believe that it is never too late! Whether you are starting completely afresh, or you are reviving an old skill from your youth, I will be glad to guide you. If the strict music lessons you remember from school cause you to shudder, I aim to help you rediscover the joy of playing an instrument – I believe this to be of equal importance to knowing your scales and arpeggios. Lessons will be judgement and embarrassment-free, and we will take things strictly at your own pace. StephanosFrom Liang (5/5): Stephanos has been great, he teaches both of my children and myself with piano, violin and guitar for several weeks now. He seems to be very patient and thorough, and such a perfectionist, he would explain things in great details and emphasis on the fundamentals, which I find the previous teacher was lacking. So far we are very much enjoying his lessons. StephanosFrom Bhavni (5/5): We have had one guitar lesson for my son and it was awesome. Looking forward for the next lesson. StephanosFrom Lakshmi (5/5): Had 3 classes till now. Stephanos is an active and enthusiastic violin teacher. My daughter is enjoying the lessons and is willing to practice at home much easily than she did before. StephanosFrom Ruth (5/5): Very Good tutor. 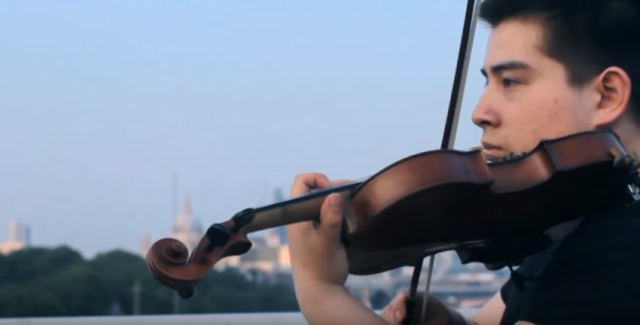 StephanosFrom Shar (5/5): I'm a professional musician myself and I've met Stephanos for a skill exchange lessons (Piano - Singing) and he was lovely, professional and amazingly talented. highly recommended. StephanosFrom Ademide (5/5): Stephanos is an Excellent tutor. He is doing his best to train me in violin. StephanosFrom Marios (5/5): Great Tutor. Punctual, good teaching methods & a nice guy. Highly recommend to anyone.Ive only had 2 lessons but already making great progress.